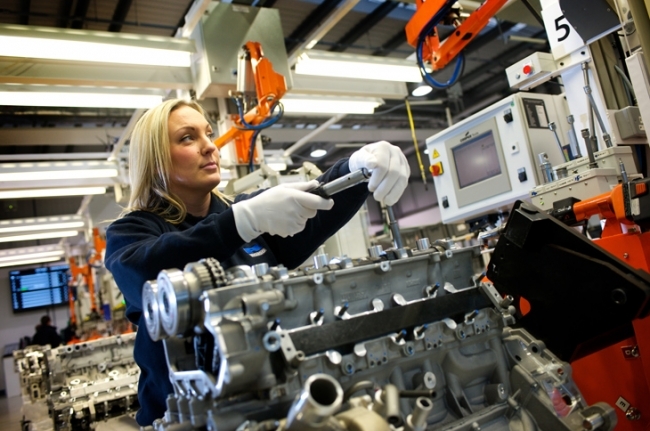 Since the launch of the high-performance engine assembly facility at the Shoreham Technical Centre in 2011, the Performance Products division of Ricardo has increased production six-fold and now regularly exceeds 20 engines per day – equivalent to an annual output of 5000. Over the past seven years, Ricardo’s engine manufacturing business has grown to serve a total of 15 major automakers and engine suppliers, providing everything from prototypes through pre-production units, to niche volume series production of high-performance products. The breadth of this engine manufacturing activity ranges from single cylinder engines used for research purposes through to V12s for marine and power generation. It also encompasses cylinder bore sizes up to around 200 mm and pressures of greater than 300 bar, and both naturally aspirated and multi-stage boosted engines, including next-generation hybrid powertrain systems. The high-performance engine assembly facility, launched in 2011, was the subject of significant expansion three years ago. The plant is now entirely self-contained and can operate independently of the support functions of the Ricardo Shoreham Technical Centre. With both night and day shifts now operational, the facility is the focus of a global supply chain comprising over 85 suppliers across three continents. In addition to smashing its previous production records again in 2017, the Performance Products team hosted its first supply chain and client customer workshops, focusing on disseminating best practice in terms of continuous improvement and supply chain development for performance and niche engine manufacture. Underscoring Ricardo’s efforts to develop its manufacturing workforce, the year also saw a new graduating class from Performance Products engine engineering group and the first ever intake of engine assembly apprentices.